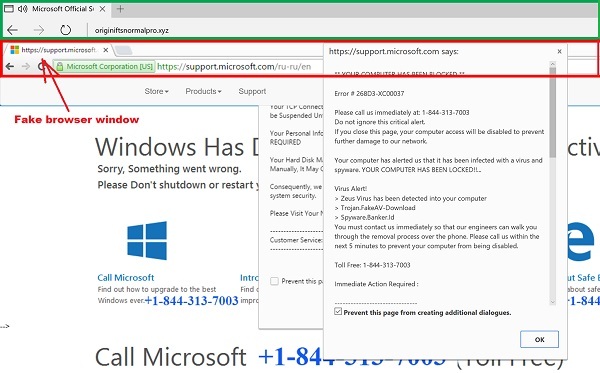 What is fake browser windows used in Tech Support Scams? Sometimes malicious Websites uses fake browser windows to simulate a legitimate Website to trick you to believe your computer has been infected with viruses. As you can see from the above picture, the inner window looks a browser window displaying a legitimate Microsoft Website. This makes you believe that the phone number given on the screen is a legitimate phone number from Microsoft support center.